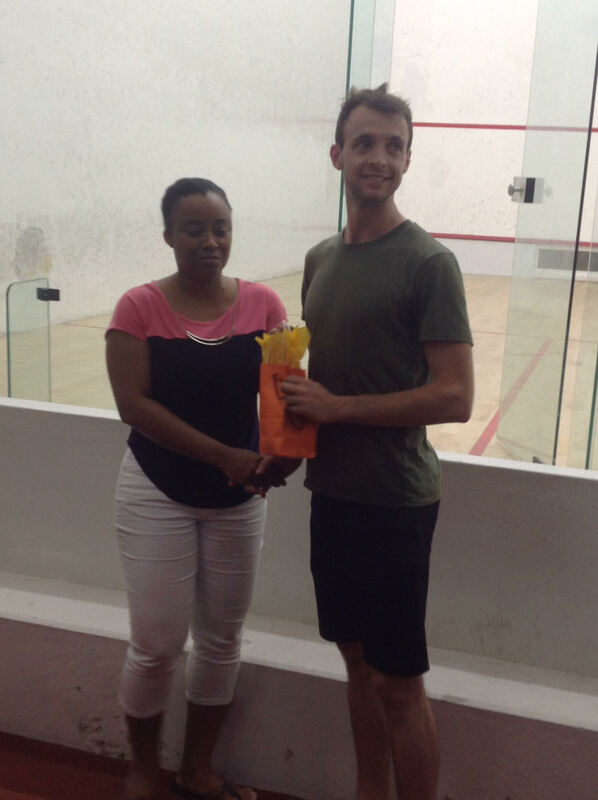 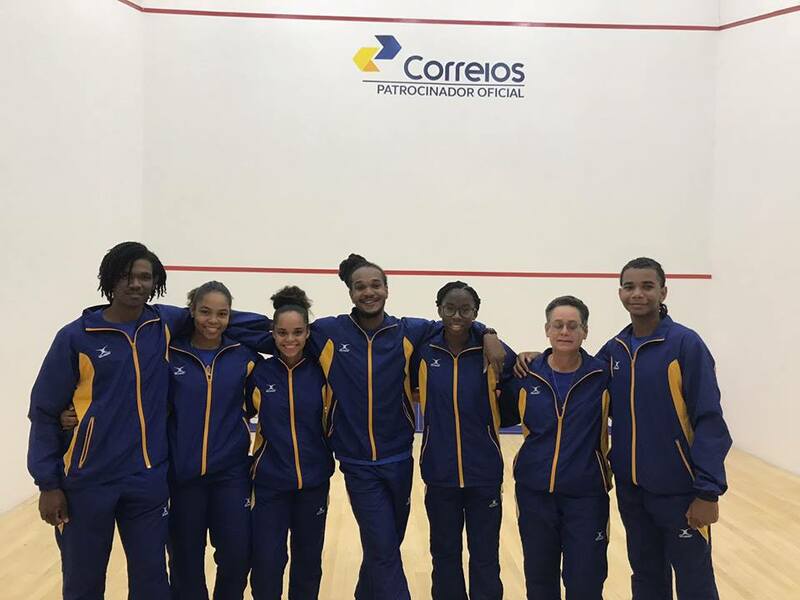 The top two female squash players in the Caribbean, both representing Barbados, cruised through their respective quarter-final and semi-final matches on the second day of competition in the 2017 Senior Caribbean Area Squash Association (CASA) Championships on Monday August 14th in St. Vincent & the Grenadines. 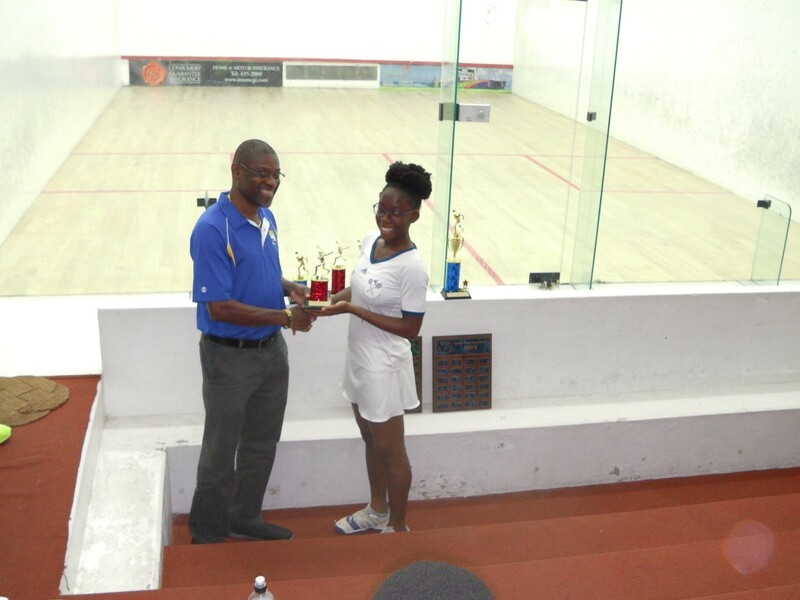 The top seed and defending champion this year is the 15 year old Barbadian sensation, Meagan Best, who is also the reigning Caribbean U-17 champion. 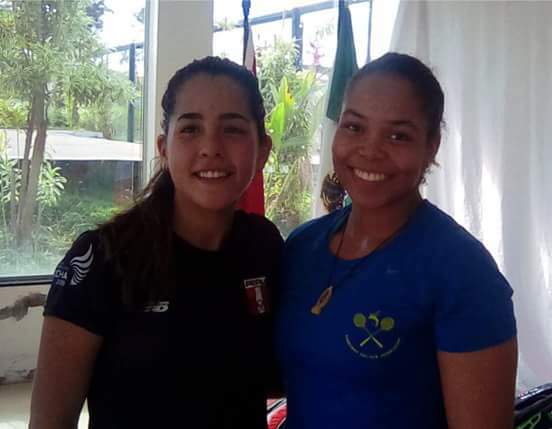 In her ladies quarter-final match she easily defeated Taylor Fernandes (Guyana) 11-6 11-4 11-9 and then returned four hours later to comfortably dispatch the diminutive Guyanese #3/4 seed Mary Fung-a-Fat 11-5 11-6 11-4 in the first ladies semi-final. 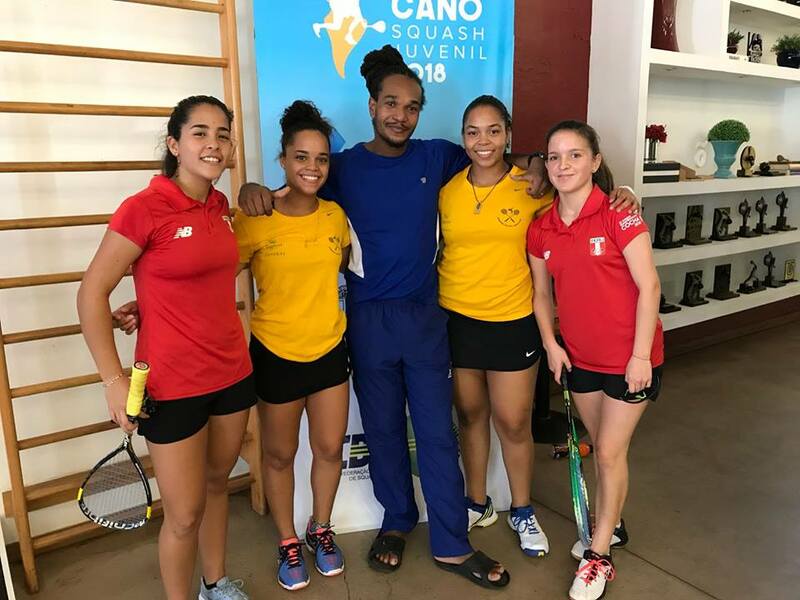 Best’s teammate and ladies captain, Karen Meakins, is seeded this year at #2 and is herself a 3-time former Caribbean Ladies Champion and also followed suit with successive straight games victories over Eilidh [pronounced A – Lee] Bridgeman (Cayman) 11-4 11-3 11-4 and then the other #3/4 seed Ashley Khalil (Guyana) in the second ladies semi-final 11-6 11-7 11-7 to reach her record 11th successive Senior CASA Ladies final. 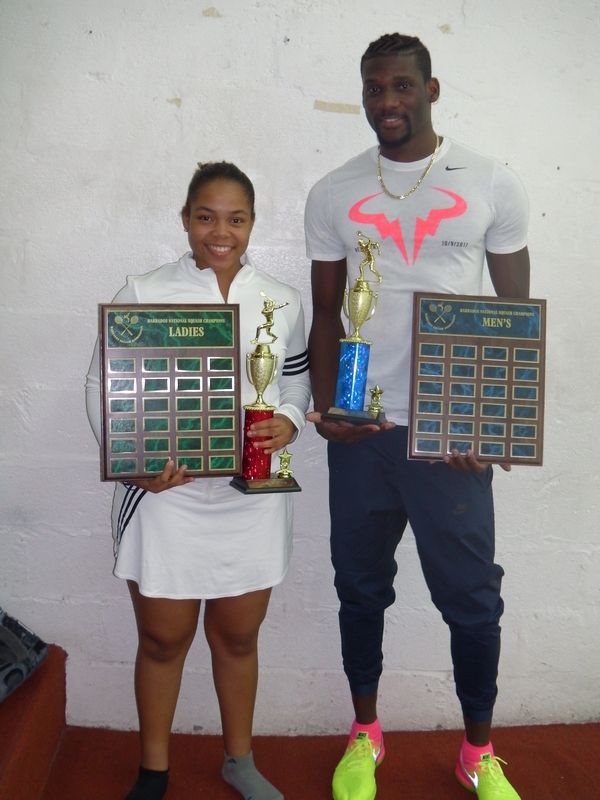 Best and Meakins will now meet this evening (Tuesday) at 6:15 p.m. in a repeat of last year’s final that Best won in straight games. 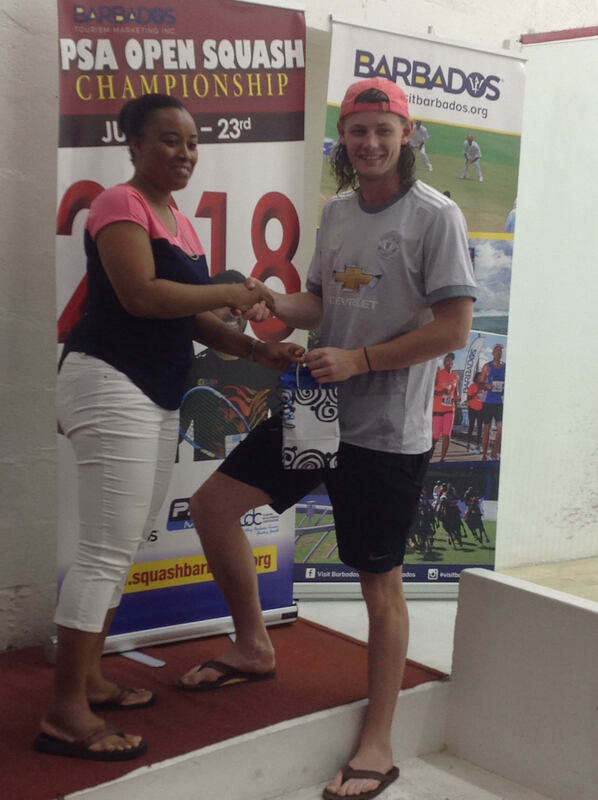 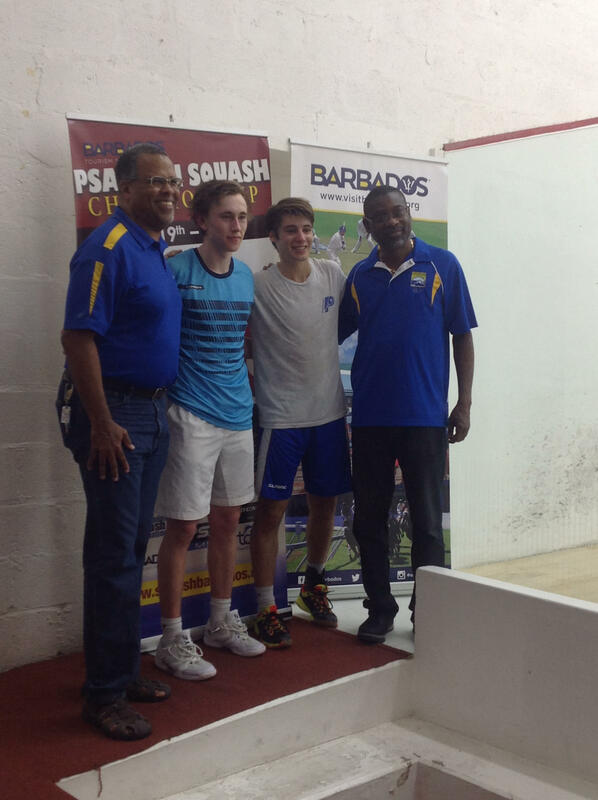 The top two men’s seeds will also meet in the men’s final as #1 Chris Binnie (JAM) and #2 Cameron Stafford (CAY) both won 3-0 over Micah Franklin (BER) and Joe Chapman (BVI) in their respective semi-final encounters. 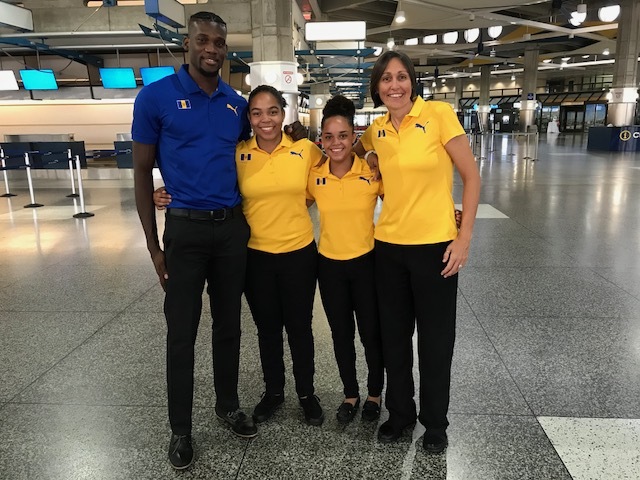 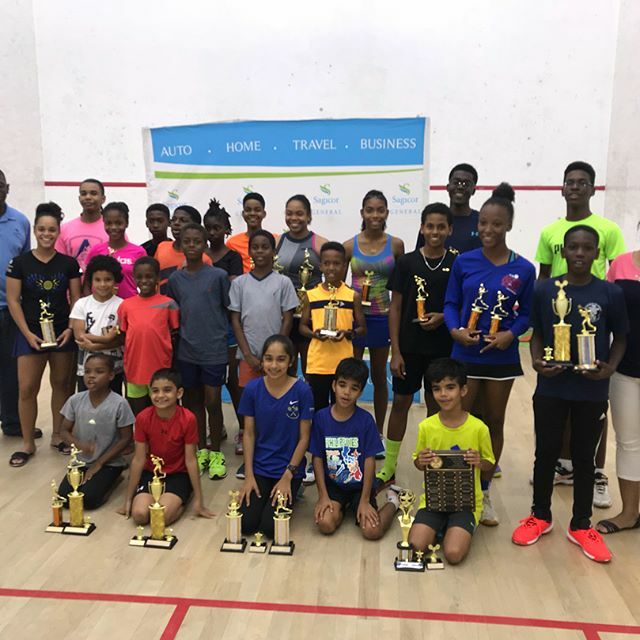 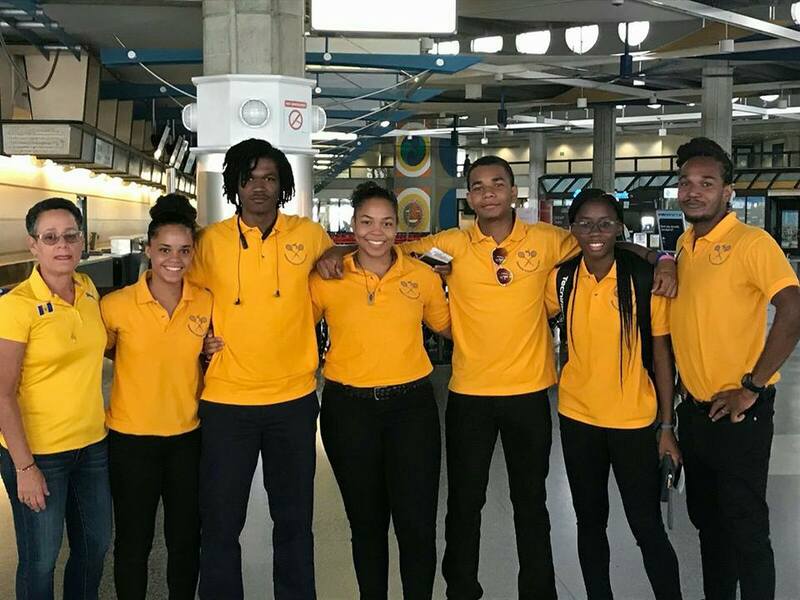 Other Barbadian players who will be playing today on the last day of the individual competition include siblings Gavin and 15 year old Khamal Cumberbatch, who both won twice on Monday. 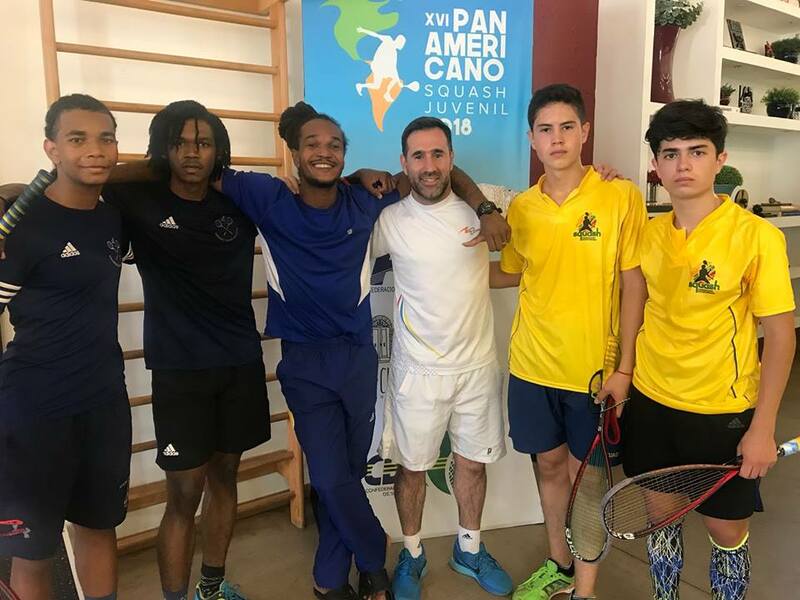 Gavin, the 2007 Caribbean Men’s champion, defeated Jamaican teenager, Tahjia Lumley 3-0, and then Jean Claude Jeffrey (GUY) 3-0 to reach the Consolation Plate final where he will face his youngest brother Khamal, the current Caribbean U-17, who has enjoyed a fantastic tournament thus far and defeated Vincentian, Kai Bentick 3-0 and followed up with an excellent come from behind victory over Caymanian, Jake Kelly, 6-11, 11-4, 7-11, 12-10, 11-8. 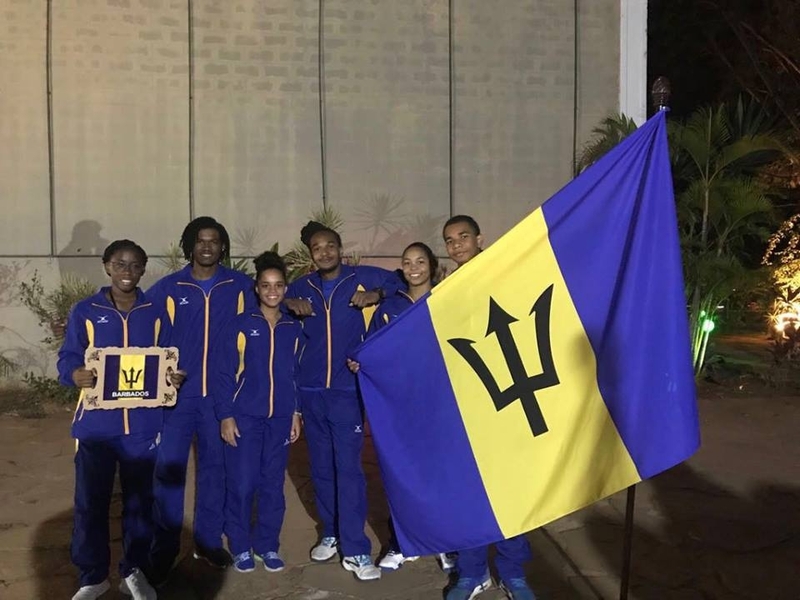 Rhett Cumberbatch, another of the quartet of brothers in the Barbados team, will also face his team captain, Shawn Simpson, in a playoff for 11th place later this morning. 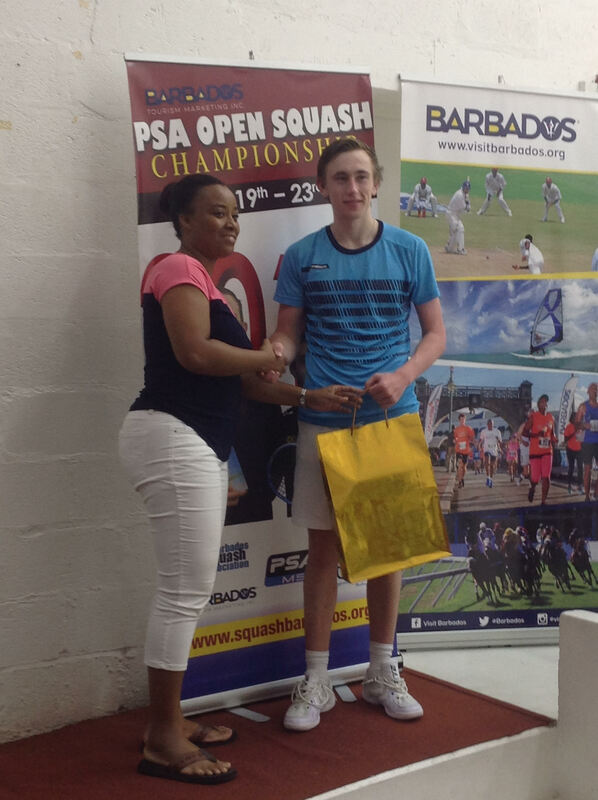 Another 15 year old Barbadian, Jada Smith-Padmore, who is also enjoying a great tournament, defeated another higher ranked player, Suzie Lacey (BER) 13-11, 11-9 11-9 in a closely contested Ladies Consolation Plate match before losing 1-3 to #5/8 seed, Victoria Arjoon from Guyana. 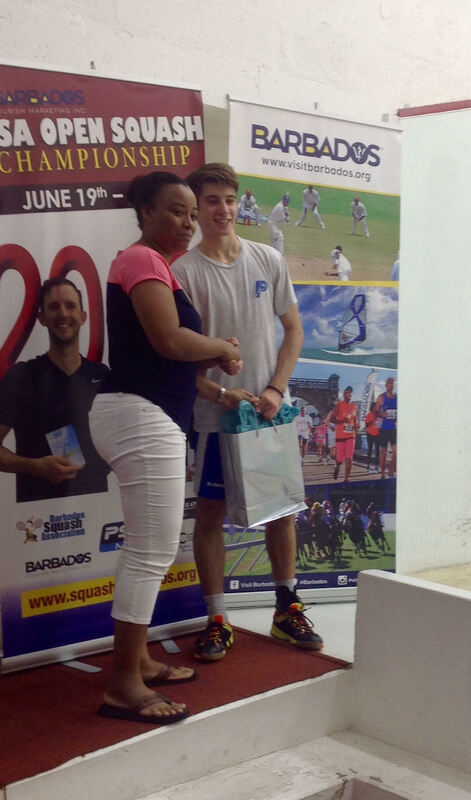 The athletic Jada will now play another Bermudian, Emma Keane, in today’s Consolation Plate third place playoff. 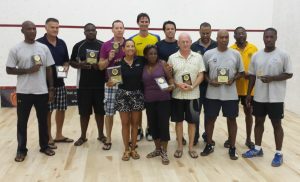 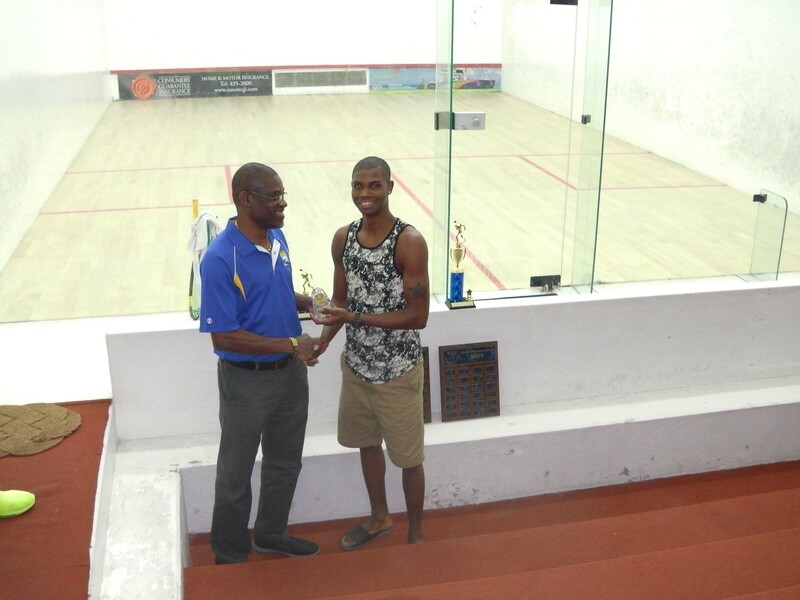 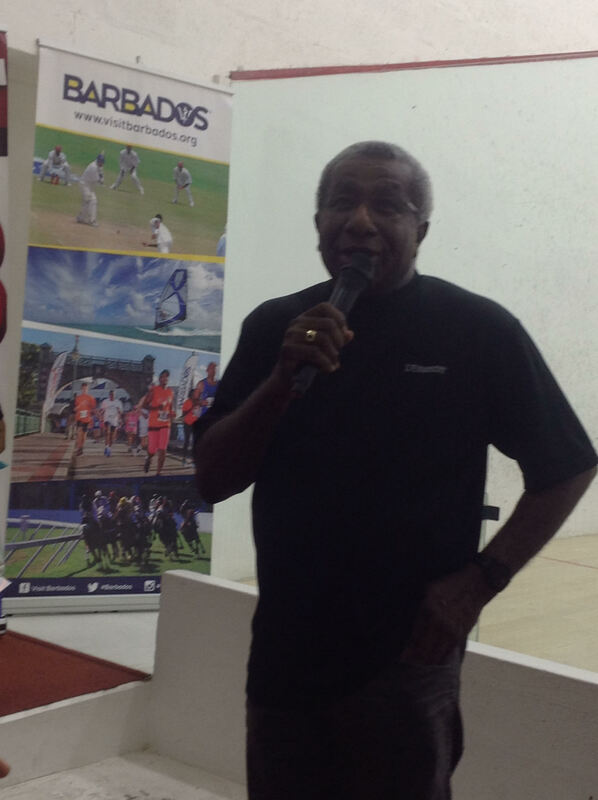 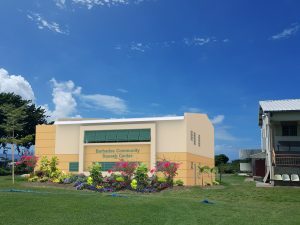 Matches continue today (Tuesday) at the National Squash Centre in Kingstown, St. Vincent from 8:30 a.m. with the men’s consolation plate final. 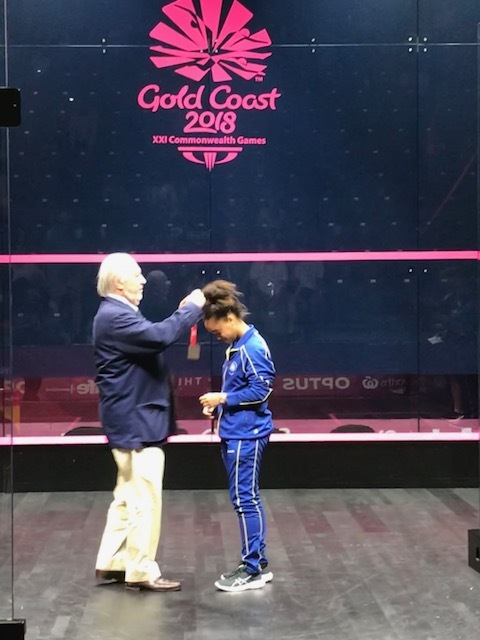 There will be a break in the competition for the official opening ceremony at 3:00 p.m. with matches resuming at the NSC at 4:45 p.m. with the ladies third place match and the finals following on from 6:15 p.m. 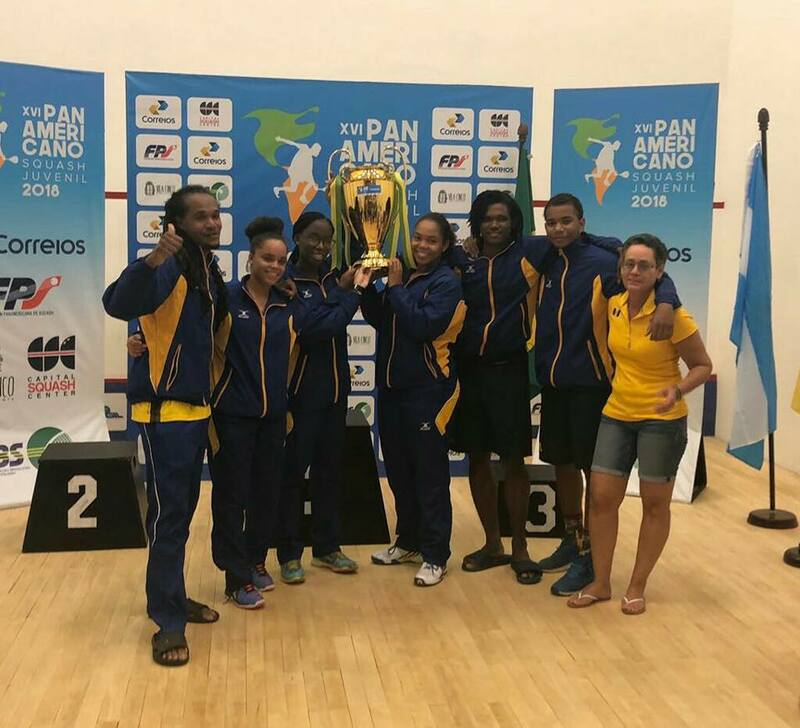 The team competition will begin on Wednesday with seven men’s teams divided into two pools, as well as round robin competitions for the six ladies teams and the five veterans teams.